Cafe Pyala: What's Billions of Dollars Between Friends? Kudos to Pakistan Today for increasing the potential GDP of Pakistan by US$10 Billion. Alternatively, shame on the Express Media Group for causing a loss to the national exchequer of over US$10 Billion. Seriously, though, if you look at the differing valuations of the accords signed during the visit to Islamabad of Chinese premier Wen Jiabao in the various papers, you are likely to be scratching your head. I guess when you're playing around with tens of billions of dollars, what's ten here or there. But consider for a moment what even one billion dollars means for Pakistan at this stage. I mean, is it really so insignificant an amount that different valuations can be off by that much? Can someone please explain to me these discrepancies? The Pakistan-China accords were made up of 43 different MOUs and an agreement to increase bilateral trade to $15 billion. Since they are just MOUs and not final agreements, there aren't exact numbers. So, everyone, including the government, is just estimating numbers right now. From my perspective, this deal is one-sided, mostly in favor of China. Pakistan currently faces a trade deficit with China. Pakistan owes China billions for projects being build in China. We in Pakistan do no how much we owe China since it is mostly off the books. We owe China for billions in defense purchases. The media tends to underreoport what effect this is having on Pakistan. Cheap imports from China are putting many independent Pakistani factories out of business idling many workers. The frequent load shedding and many other problems also do not help. 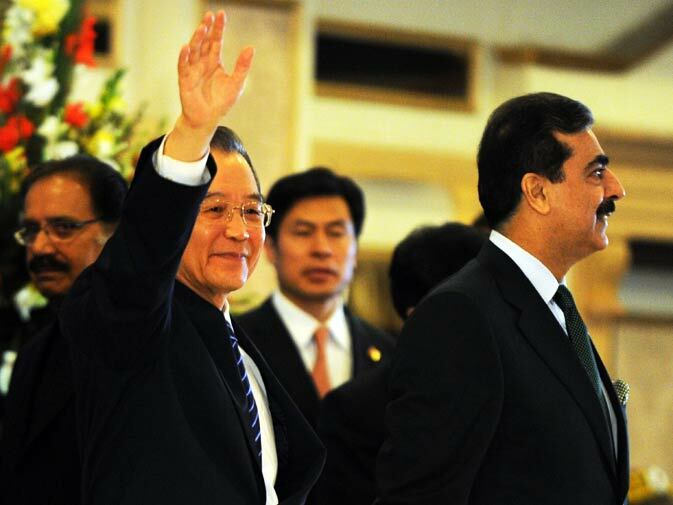 Pakistan's fawning over China leaders are in poor taste.